And the movie promo releases keep on coming! 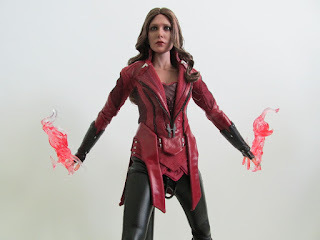 Following hot off the trails of the Battling Version of Captain America, Scarlet Witch now joins the line up in her New Avengers look. This version of Scarlet Witch is seen at the end of the film when she joins a new line up of Avengers led by Captain America. 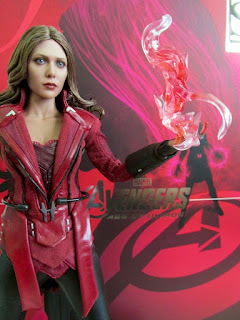 Scarlet is a welcome addition to the Hot Toys line up and a nice change from the usual Iron Man releases. 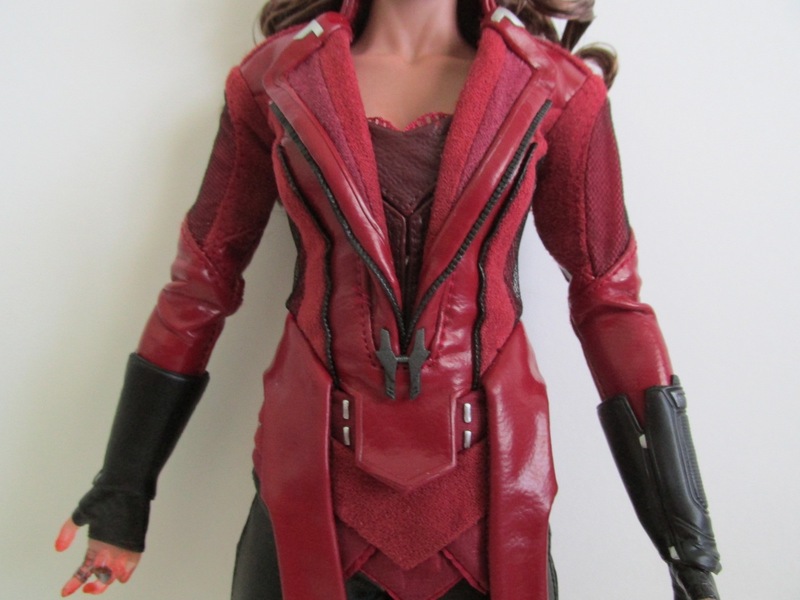 Right out of the packaging, I noticed the detail of the head sculpt and was pleased with the sculpt. In hand she looks great and the likeness is uncanny. However in photos, I noticed she doesn't come out as well, and her fore head seemed to be larger than in person. It could be the angle of the camera, but I will say this is one figure that looks better in person and in your hand than in a photo. 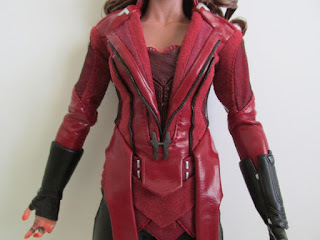 I love the sculpted rubber torso they gave her to accentuate her collar bone and neck and glad Hot Toys didn't go with just using plastic. 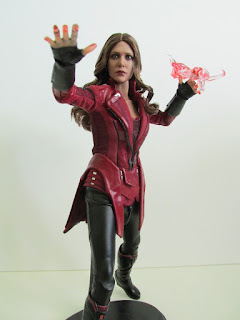 This is the same technique used for Gamora and for Thor to help give a more believable look. 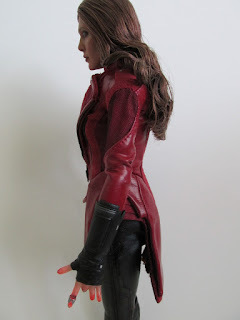 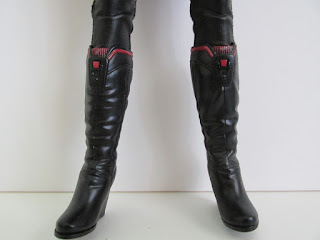 The costume is also finely tailored, and I think a more streamlined look for Scarlet. 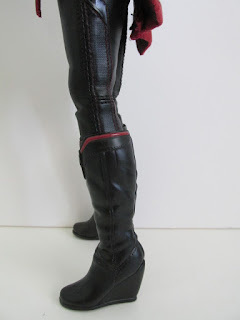 The only thing I worry about is stretching out the costume at the joints since the costume is very form fitting. 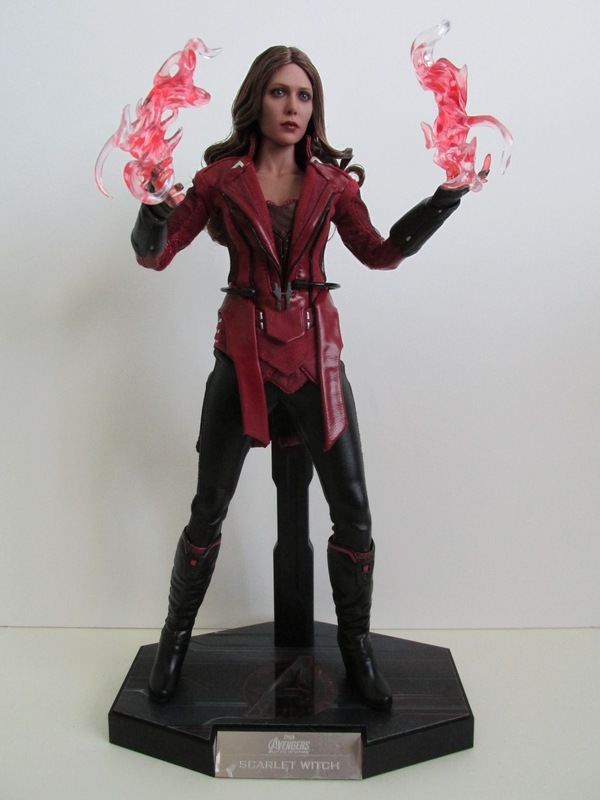 Like other Movie Promo editions, she doesn't come with too many accessories. 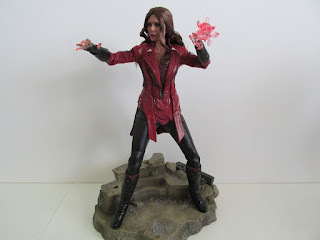 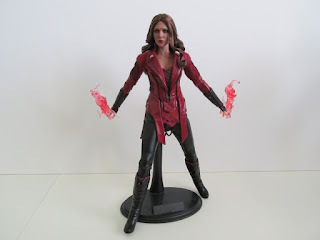 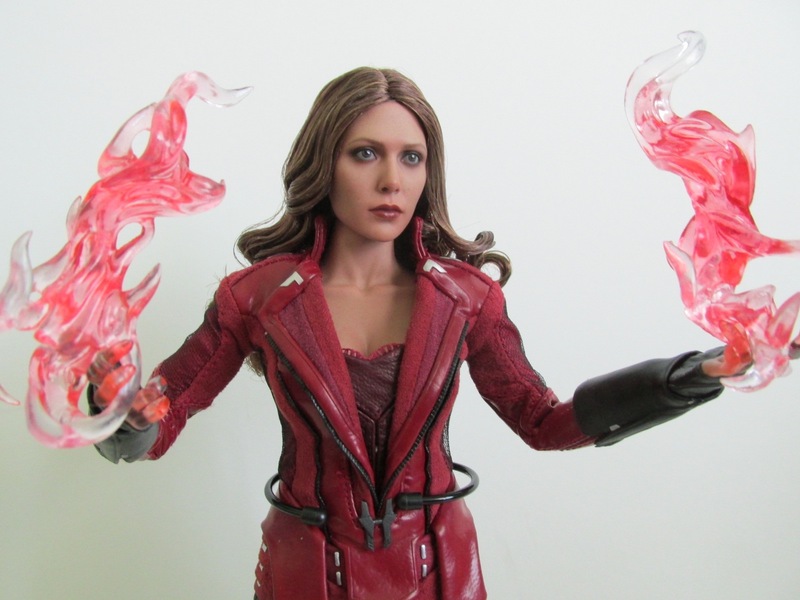 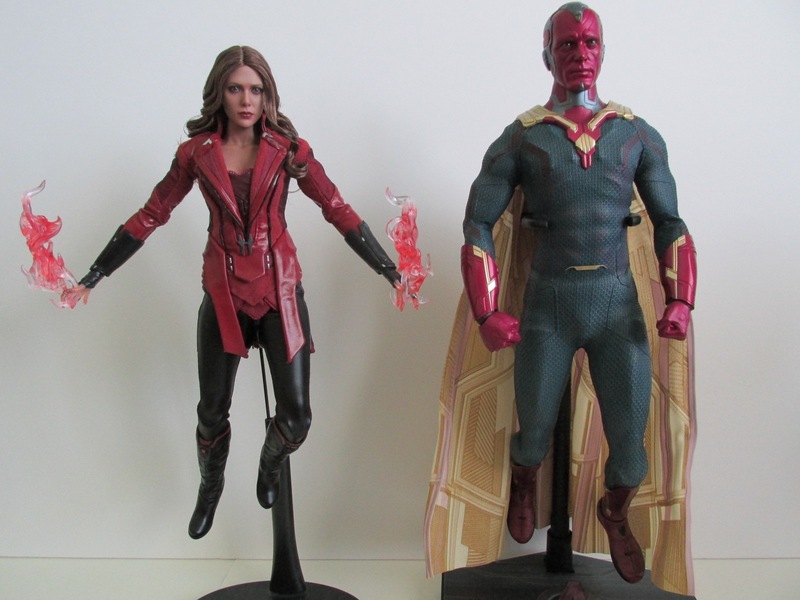 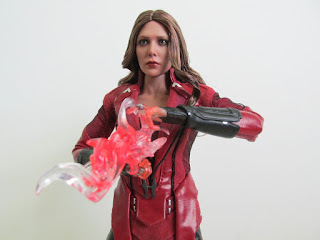 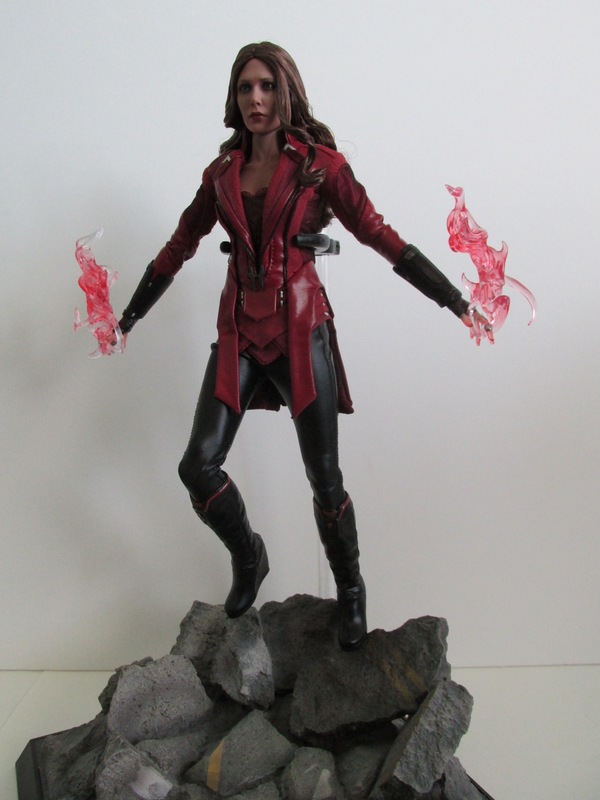 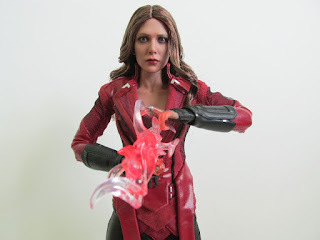 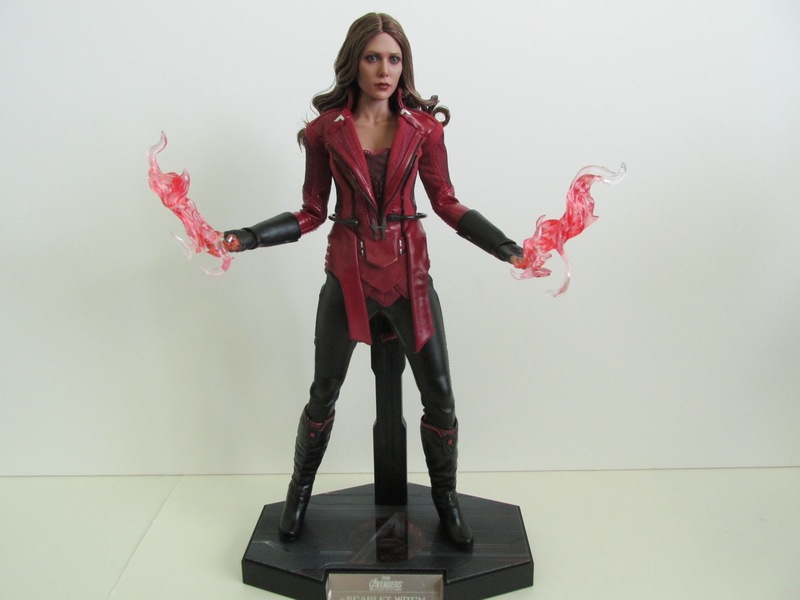 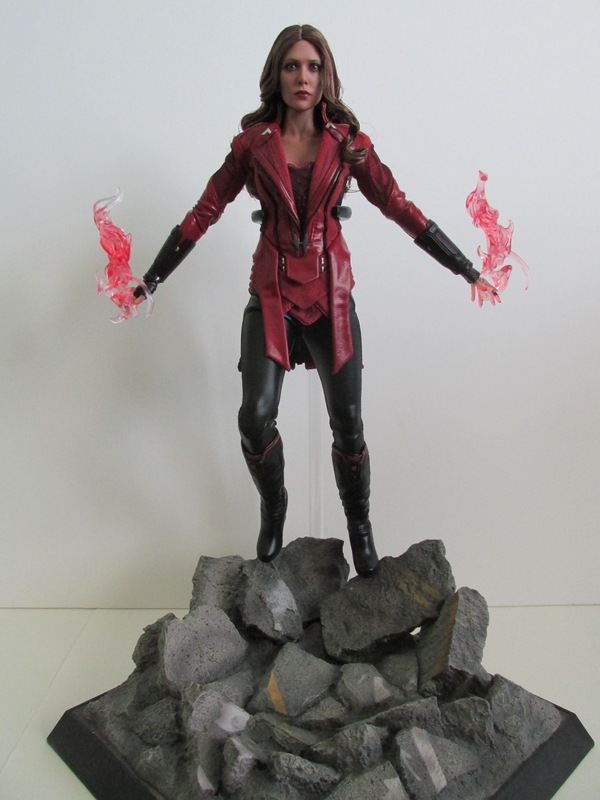 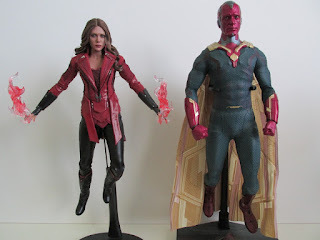 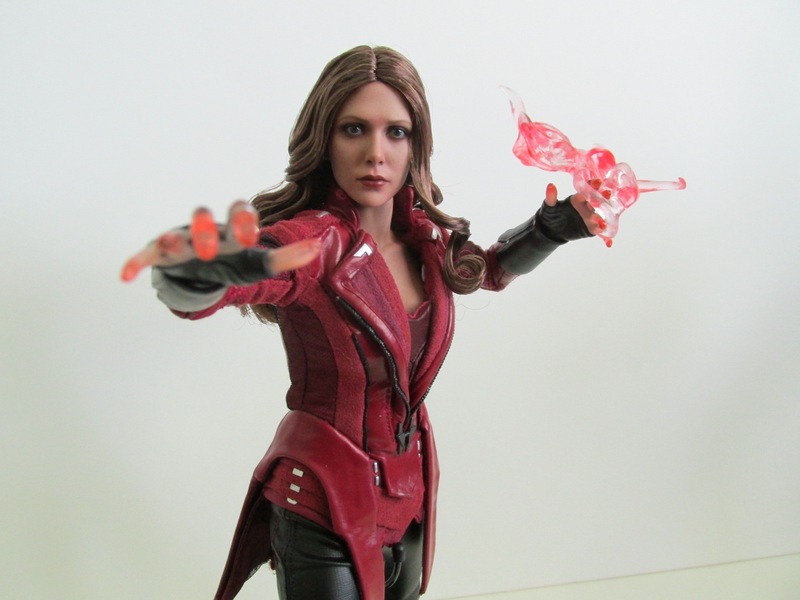 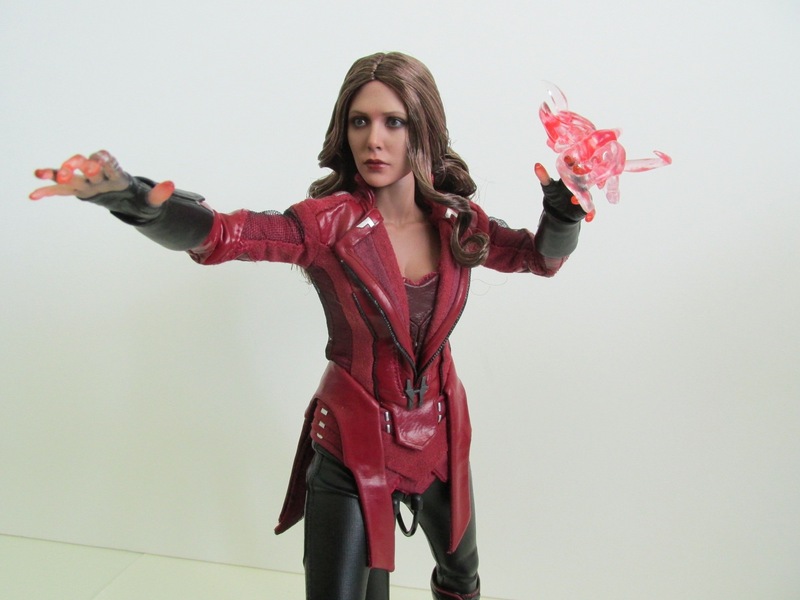 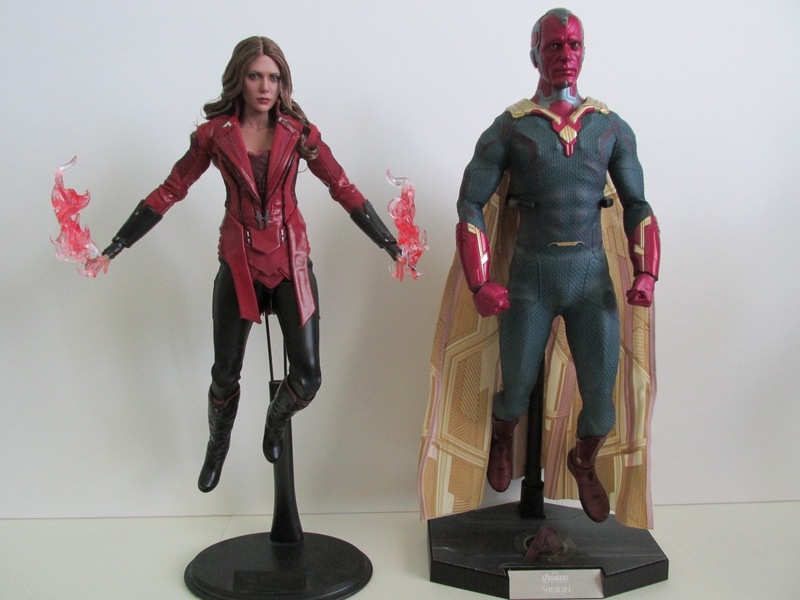 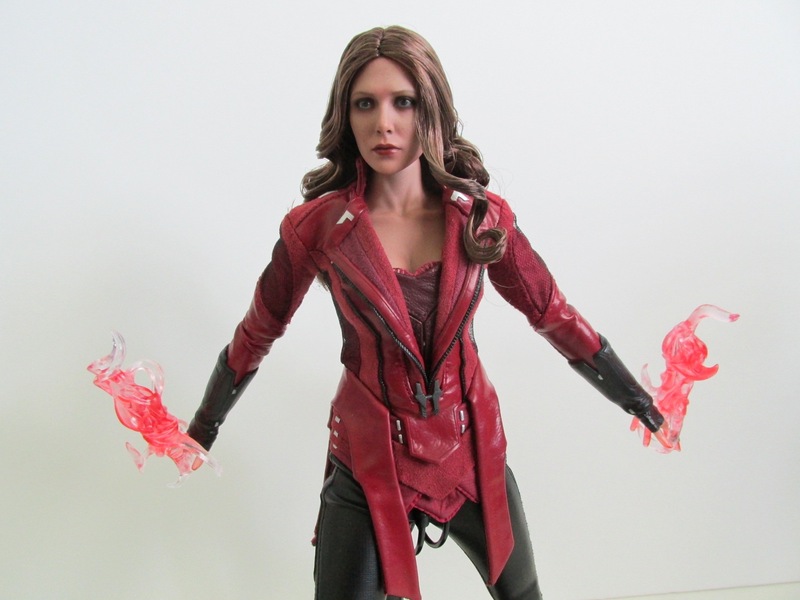 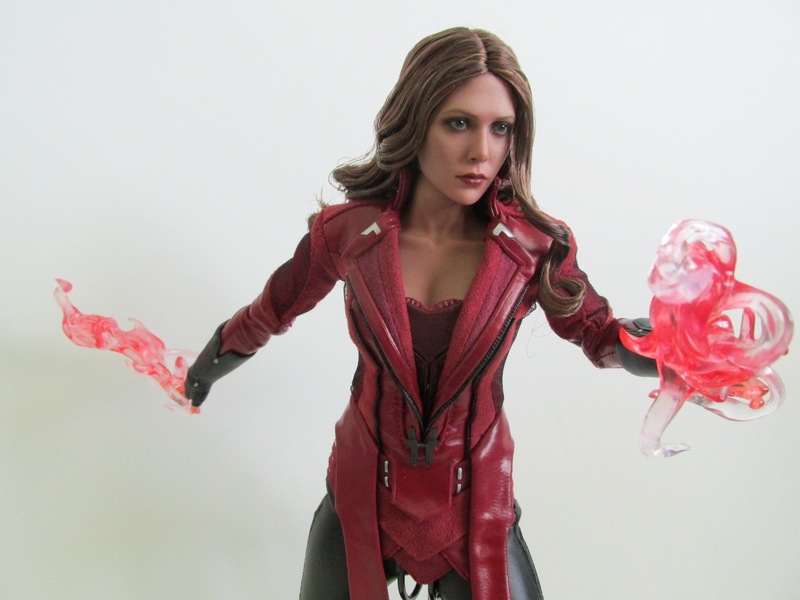 She comes with two hex bolt flames, a pair of relaxed hands, a pair of translucent red hands, a pair of translucent red hands in spell casting form, and the standard base from Age of Ultron. The hex bolts are fun to play with, and the instructions note that the bolts are hand specific. 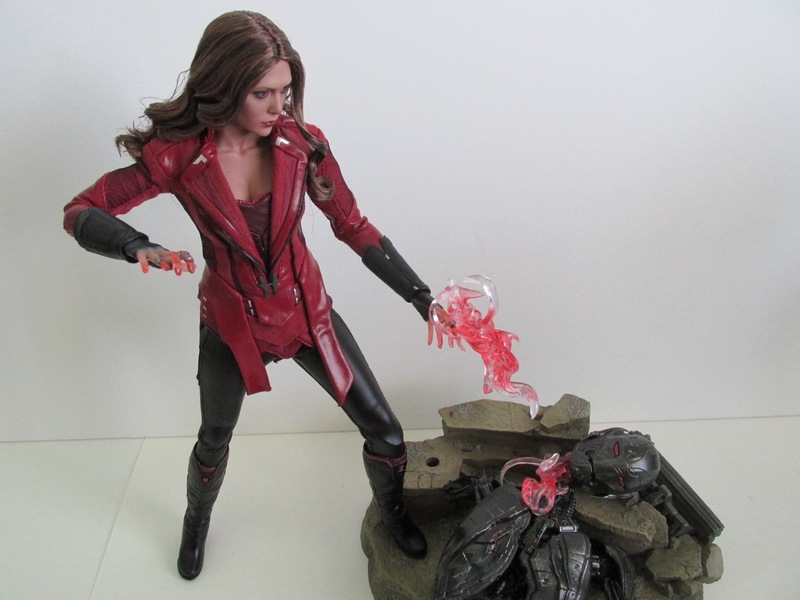 I think you can play around a bit with the bolts and don't have to worry about using the correct hand. 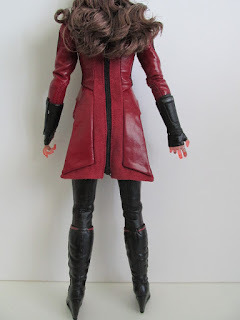 It's too bad she didn't come with an alternate head that had red eyes. 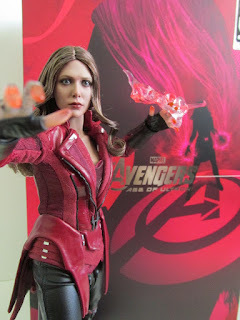 In the film, her eyes glow red when she casts her spell. 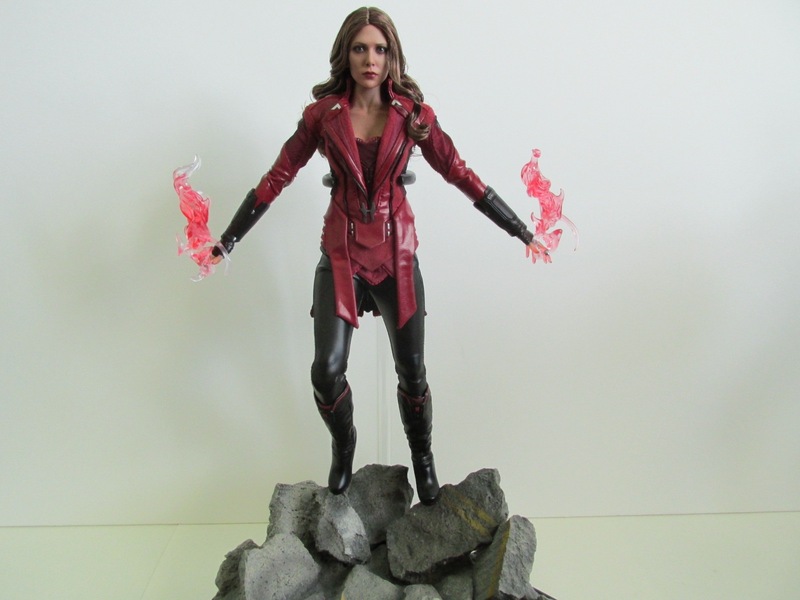 While the base is a good size, it would have been better if a dynamic rod was included too since she can float. 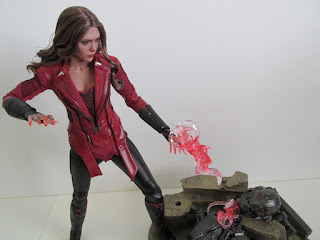 The body grab claw is included and doesn't really fit the figure well since it digs into her jacket. 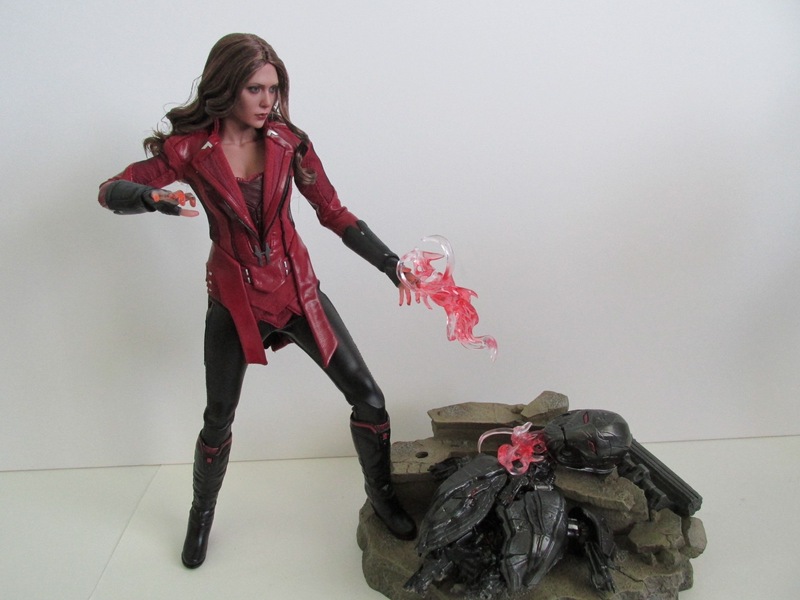 Overall, I don't think collectors missed out on this figure. 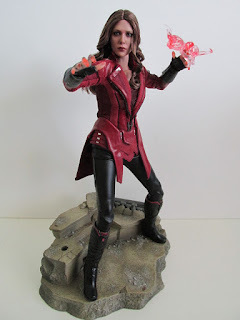 Much like the Captain America Battling Version, this figure is great, but not an essential piece to your Avengers line up. I mostly got this because I liked the look of this costume, it was a Movie Promo version, and I needed Scarlet Witch since I didn't get the previous release. 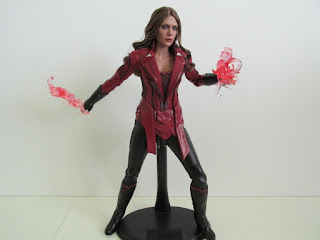 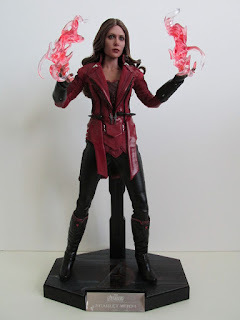 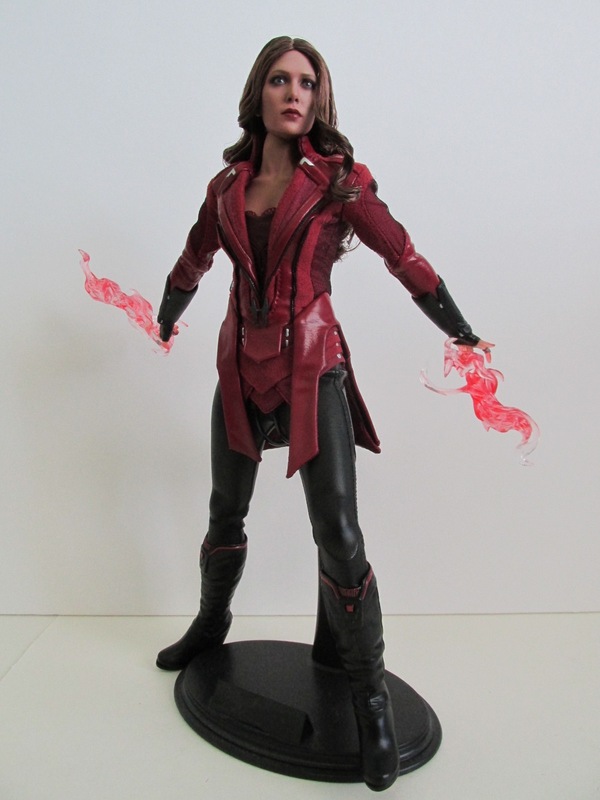 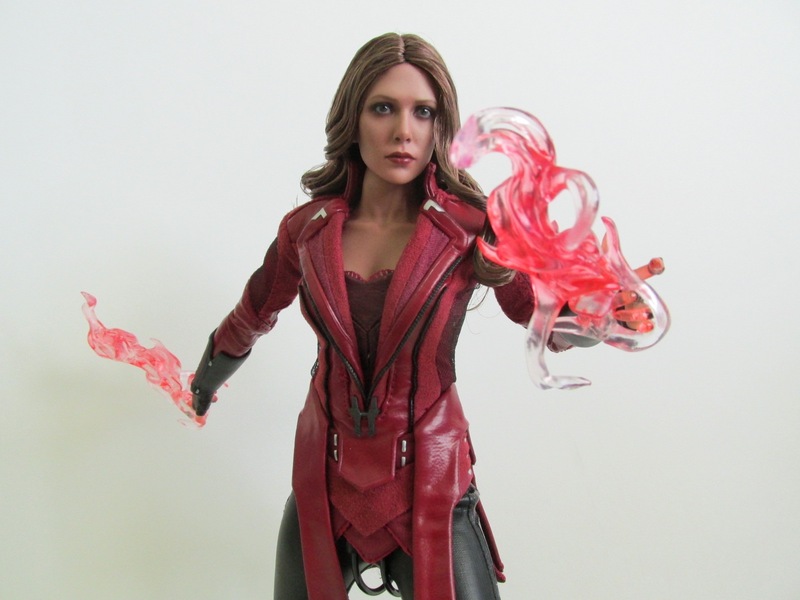 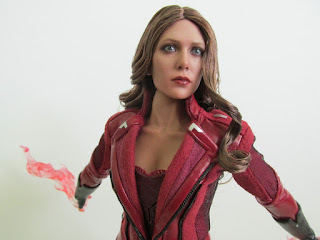 If you have the chance to get her, I'd say it would be a matter of your own personal opinion, but I wouldn't feel too bad if you missed out on her either since I'm sure more Scarlet Witch's will be coming from future films. You can check out the regular Age of Ultron version at Sideshow Collectibles here! 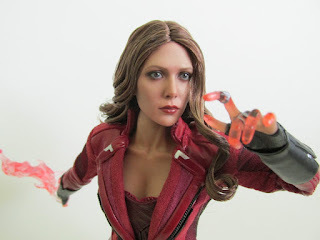 You can check out her Captain America: Civil War look and pre-order her here!